How do I contact Bajaj Finance Limited? A. Call us on 020 – 3957 5152 (call charges applicable) with your EMI Card related queries. For all loan queries other than Durable Finance, call 020- 3957 4151 (call charges applicable). We don't have a voice call center for EMI Finance on Durable products. You can access your details through our IVR on 020- 3957 4151 (call charges applicable), or by logging on to our Customer Portal. Alternatively, write to us at wecare@bajajfinserv.in, and we will revert to you within 48 hours. How do I apply for a new loan? Please call us on our toll-free number 1800 1030 333 for any queries related to new Personal Loans. For any new EMI Finance on Durable Loans, please visit any of our partner dealers. For any other loan, please visit our branch office nearest to you. To view our branch addresses, visit Customer Service > Branch Locator.Click here to view our branch locator. How do I get my durable purchase original invoice copy? We would like to inform you that the original invoice copies and loan documents are maintained with us for our records. You may contact the dealer should you wish to retrieve a copy of the same. Alternatively, scanned copies of your loan documents are available on the Customer Portal, for all loans disbursed post August 2012. To view your loan documents, follow these steps: Customer Portal > View loan details > Select view details > Select document vault. Click here to login to the Customer Portal. How do I raise a request through the Customer Portal? To log a request through the Customer Portal, log in > Select “Write to us” > Log new request. We will get back to you within 48 hrs. How can I view my EMI status? To view your loan related details along with your EMI status, please refer to your Statement of Account by logging in to Customer Portal > View loan details > Click view details icon > Select loan statement. Click here to login to the Customer Portal. When is my next EMI due? To view your loan related details along with the due date of your next EMI, please refer to your Statement of Account by logging in to Customer Portal > View loan details > Click view details icon > Select loan statement. How do I change my EMI due date? We currently do not have an option to change your EMI due date. This is keeping in mind the uniformity of payment due dates for all our customers. How do I change my demographic details? You may update your mobile number, email ID or address through our Customer Portal. Log in to Customer Portal > click on the top right icon > Select “Update your contact details”. How do I update my date of birth, PAN, and nominee name? Click to login to our Customer Portal Experia for updating your ‘Date of Birth, PAN, and Nominee name’. How can I get my Statement of Account/repayment schedule? You can view and also download your Statement of Account/repayment schedule on our Customer Portal. Log in to Customer Portal > View loan details > Click view details icon > Select loan statement > Click Statement of Account > Open and save the PDF document > Click on export icon. Watch this simple video and understand how to read your Statement of Account. Click here. Simple steps to help you download your e-statements. Click here to watch the video. How do I get my interest certificate? You can view and also download your interest certificate from our Customer Portal. Log in to the Customer Portal > View loan details > Click on view details icon > Loan details > Interest certificate. Where can I view my loan documents? scanned copies of your loan documents are available on the Customer Portal, for all loans disbursed post August 2012. To view your loan documents, follow these steps: Customer Portal > View loan details > Select view details > Select document vault. How can I apply for an EMI Card? You can apply for an EMI card while visiting our nearest authorized partner store for availing a consumer durable/digital loan. If you are an existing customer with us, you can apply for the card online through the Experia portal, under the offer tab. The EMI card comes to you by making a onetime payment of a nominal fee of Rs. 417. However, if the card remains unutilized for a year from the date of card issuance, there is a yearly fee of Rs. 117 for the non-usage. When will I receive my EMI Card? You will receive your EMI Card after successful clearance of your first 4 EMIs. What is my EMI Card limit? You can view your EMI Card limit on the Customer Portal. Log in to the Customer Portal > Select cards > EMI Card > See details. Can you please share offers available on my EMI Card for EMI conversion to PL? 2. you can also reach us on 020 3957 5152, call charges as applicable. All the offers take 7-8 working days to be effective. How can I increase my EMI card Limit ? Why my EMI card Limit is reduce ? EMI Card loan limit is subject to change inline with our policy. There are multiple factors considered as part of the credit policy such as Low CIBIL score, Income, Residence, and Office verification, overall credit performance of the individual across other lenders etc . We reveiw our customers EMI card loan limit every quarter. How to buy on Flipkart using EMI card? 2. On the Home Page, search for a product of your choice from the list below. 4. On the product page, click "Buy Now" or "Add to Cart"
5. Enter delivery address and click "Proceed to pay"
6. Select EMI from the payment options displayed and click "Place Order"
1. Visit flipkart.com and search for a product of your choice from the list below. 2. View product details and click ‘BUY NOW’. 3. Login with your email address/ mobile number on Flipkart. When can I apply for an EMI Card? You can apply for an EMI card at the time of availing consumer durable loan. Card will be generated post 20 days of loan booked. How to unblock my EMI Card ? Your EMI card has been blocked inline with our credit policy. You shall receive an SMS from us upon activation of the card. Why my card is block ? There are multiple factors considered as part of the credit policy such as Low CIBIL score, Income, Residence and Office verification, overall credit performance of the individual across other lenders etc. How to ensure card remains active ? Pay your Emi’s timely and maintain your CIBIL score( 750 and above). How will I get to know that the card is active? Card activation/unblock information will be provided to you via SMS. You can also view the status of your card by login to our customer portal (Experia) and Bajaj Finserv Mobikwik App. What is Digital EMI Card? EMI Card refers to Existing Member Identification Card; the customers simply have to carry his mobile phone (with registered mobile number) to avail loan using EMI Card across merchant network accepting the EMI Card. What are additional benefits of Digital EMI Card? What if the I lose my Smartphone/ How to block the card? For blocking of your card, please call us on our call center at 020 – 39575152 (call charges applicable) & block you card on our IVR. You can also block your card by logging on to your Experia portal. In what time will the card start showing in the app? Card number would reflect in your digital app post the delivery of your product. I could see my card number till yesterday, but now it has got disappeared? • There is already an existing EMI Card number issued in your name. What is my Card PIN & from how do I get it? To receive your EMI Card PIN on your mobile, SMS PIN to 9227564444 from your registered mobile number. You can change your EMI card PIN, by logging on Experia portal. How do I perform a transaction with my Digital EMI Card? How do I get to know if my transaction is rejected or approved? You would receive an SMS communication informing you if the transaction is approved or rejected. In case of transaction rejected and you need further assistance, you could reach us on our call center number – 020-39575152 or write to us on wecare@bajajfinserv.in. Where can this EMI Card be used? You can use this card across any BFL partner outlets across categories like mobile phones, computing devices, retail fashion (clothes, accessories, travel, groceries, small appliances and much more), electronics and appliances, power backup, holiday packages, eye-ware, education (coaching classes), watches, etc. What is the basis to decide the amount on the card? The loan amount on the card is decided by Bajaj Finance based on its credit policies. Is EMI Card a credit card? The EMI Card is not a credit card. By using this card our customers can purchase any durable, digital, lifestyle or retail products with minimal documentation. Can I apply for an add on card? Yes, you can apply for an add-on card EMI Card. Please check for details at our authorized Consumer durable stores. How do I repay the loan availed on my EMI card? You can repay the loan anytime, by paying your balance outstanding through Equated Monthly Installments. In case you need more details, please feel free to write to wecare@bajajfinserv.in quoting your loan account number. How do I update/change my ECS mandate/repayment mode with Bajaj Finserv? To change your bank details kindly visit our nearest branch and must carry a canceled cheque of your new bank/account. Do I need to pay a charge to the retailer for any transaction I make on the EMI Card? You may or may not need to pay any additional transaction charges, depending on the schemes running at the Dealership at that point of time. How do I enquire more about the EMI Card? You can write to us at wecare@bajajfinserv.in, call us 020 – 3957 5152 (Call charges applicable) or visit our website on www.bajajfinserv.in. What should I do if my EMI Card gives an error while swiping? Can I get a replacement of the EMI card if my existing EMI card is lost, stolen or damaged? You do not need the physical card. Your Digital EMI card gives the power to use the card. How do I get my EMI card statement? You will get monthly statement on your registered email ID. You can also view your transaction details in EMI Card section. 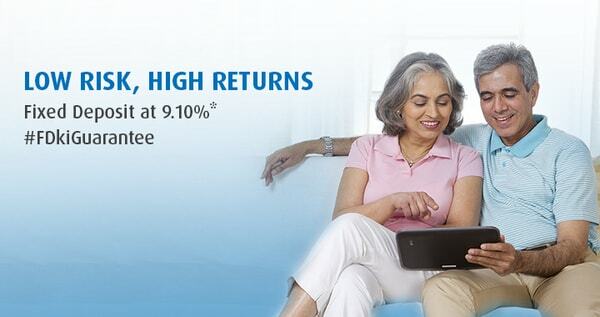 You can also write on wecare@bajajfinserv.in or call us on 020 39575152 to get the details. My Bajaj Finserv Wallet app does not work? What do I do? Incase case you have problems with your Bajaj Finserv Wallet App, you need to contact Mobikwik at bajajsupport@mobikwik.com. What is the current status of my EMI Card? You can view your EMI Card limit on the Customer Portal. Log in to the Customer Portal > Select cards > EMI Card > See details. For any further queries, you may also call us on the dedicated EMI Card help line number: 020-39575152 (call charges applicable). What is my EMI Card PIN? To receive your EMI Card PIN on your mobile, SMS PIN to 9227564444 from your registered mobile number. You can change your EMI card pin by logging on to the Experia portal. How do I get my security PDC returned? For all loans disbursed post September 2012, we destroy the security instruments collected after loan clearance. The same has been communicated in the loan application form as well. For all security PDCs for loans disbursed before September 2012, please write in to us. Log in to the Customer Portal > Select “Write to us” > Log a new request. How can I make my overdue payment? You can pay your overdue EMIs online through the Customer Portal. This facility is offered to customers who have net banking activated for their bank account. Log in to Customer Portal > Click on “Payments” > Make a payment > Missed EMI payment. Please note - On successful completion of the transaction, a transaction ID will get generated For future reference. Can I make my advance EMI payment online? You can make online advance EMI payment by logging onto our Customer Portal and mobile app. Please note this facility is not available for Business Loans, Personal Loans, and Home Loans. You may also visit any of our branches to make this payment. To view a list of branch addresses, visit Customer Service > Branch locator. Can you arrange for a cheque pick-up from my residence (consumer durable customers only)? We currently do not have the option to send our executives for collection of payment. How and when can I part-prepay my loan? Are there any part-prepayment charges? A. Part-prepayment can be done through our customer portal (Experia) or by visiting our branch. • Part-prepayment made should be more than 1 EMI. • Part-prepayment can be done anytime post clearance of the first EMI. • Part-prepayment charges applicable for all non-flexi loans. • Nil part-prepayment charges for Flexi loan and Line of Credit customers. What are the features and benefits of Flexi Term Loan? Below are the features and benefits of Flexi Term Loan. • You have the flexibility to pre-pay the loan with idle funds at no extra cost. • You can re-avail the pre-paid amount within the available limit at any time within the loan tenor without any additional documentation. • You save on interest cost. Interest is payable only on the utilized loan amount. There is no interest levied on the pre-paid amount. • Seamless, easy, hassle-free online transactions on the customer portal, the self-service account access tool for drawdown and RTGS that allows you to make pre-payments to Bajaj Finserv through net banking facility. •Total Limit – This is the limit assigned to you for transaction at any given time. In Flexi Term Loan, this is also called Dropline limit, which reduces every month based on the principal amount paid by you during the total tenor. • Utilized Limit – This is the principal outstanding against the Flexi loan on which you would be charged interest. • You can withdraw amounts up to your available limit only. • Once your Dropline limit is equal to or less than your principal outstanding, your normal EMI cycle would resume where you would be charged both principal and interest as EMI. • Please note, in the month your Dropline limit is equal to or less than your principal outstanding, your instalment would have principal component equal to difference between the two. Post this instalment, your EMI cycle would run as a normal loan until another part payment transaction is made. • You can make any number of transactions without any limitations or restrictions on number of transaction/amount of pre-payment. • Any transaction between 22nd of a month till the EMI due date is not factored in the current EMI due. Interest refund on the part paid amount during this period would be adjusted in the principal outstanding for the next month. Interest chargeable on the amount withdrawn during this period would be added in the interest due on the next EMI due date. What are the features and benefits of Flexi Interest-only Loan? Benefits of Flexi Interest-only Loan? • Total Limit – This is the limit assigned to you for transaction at any given time. In Pure Flexi, this is also called total loan amount. • Available Limit – This is the un-utilized amount which is available to you for withdrawal at any given point of time. • Utilized Limit – This is the principal outstanding against the Flexi loan on which you would be charged interest. • In this facility, total Limit sanctioned remains constant throughout the tenor. You will be charged only interest on the utilised amount till your second last EMI. • You can withdraw the entire amount part-prepaid during the loan tenor. • Your last EMI would be: Principal outstanding + Interest. • This facility is provided with subject to renewal end of every 12 months of the loan tenor. A specified value of annual maintenance charges is applicable every 12 months. FLEXI Loan explained - Click here to watch the video. What are the features and benefits of Flexi Hybrid Loan? Below are the features and benefits of Flexi Hybrid Loan. • Total Limit – This is the limit assigned to you for transaction at any given time. This is also called Dropline amount. • Available Limit – Your available limit is calculated as: Dropline limit – Principal outstanding. Features of Flexi Hybrid Loan: • During Flexi Saver – Pure period, total limit sanctioned does not reduce. You are allowed make any number of transactions without any limitations or restrictions on number of transactions/amount of pre-payment. Also, you can withdraw the entire amount part-prepaid during this period. • At the end of Flexi Saver – Pure period, your loan would be converted into a Flexi Saver – Dropline. While you are allowed to make any number of part-prepayment transactions, total available limit for fund withdrawal reduces month on month. How do I make a part-prepayment on a Flexi Loan? Click here and learn the simple steps to make part-prepayment on your term and Flexi loans through our Customer portal – Experia. Watch how to Drawdown/Withdraw from your Flexi Loan. Click here. How do I drawdown/withdraw from a Flexi Loan? Click here and learn the simple steps to drawdown/withdraw from your Flexi loan through our Customer portal – Experia. How do I apply for my TDS refund? You can now apply for your TDS refund through our Customer Portal. All you need to do is fill in your request details, upload your original Form 16A, and your TDS request will be generated. Login to the Customer Portal > click the Top Right Icon > Click “Raise a request” > Request type (TDS) > Sub request type (TDS) Select “Write to us” > Log new request > Type: Request > Request type: TDS. Post submitting your request the TDS refund will be processed in 7-10 working days. How do I swap my existing mode of loan payment? •	Collect mandate form from our branch or CD store. •	Read the dos and don’ts before filling the NACH mandate form. •	Fill in the NACH mandate form. How do I swap my existing mode of loan payment Step-1 And Step-2 ? Step 2: Fill up the details on NACH Mandate as per sample format attached, and provide your signature. • EMI Amount in Words: In case you are servicing multiple loans with BFL from this account, please enter double of the sum of all the EMIs. Don’t worry; only your actual EMI amount will be deducted. • LAN (Loan Account Number): In case you are servicing multiple loans with BFL from this account, please enter the LAN with the highest EMI. • EMI End Date: Please enter the last EMI date in this field. • Account Holder Name: In case your bank account is a jointly operated bank account, please enter the signatures and names of account holders below each respective box. How do I swap my existing mode of loan payment Step-3 ? How and when can I foreclose my loan? Are there any foreclosure charges? A. Foreclosure can be done through our customer portal – Experia, or by visiting our branch. Foreclosure can be made post clearance of 1st EMI. Charges will be applicable on the current POS outstanding. • For Term Loan, charges are calculated on the outstanding principal. • For Line of Credit (Flexi Pure), charges are calculated on the sanctioned limit. • For Flexi Saver (Dropline Flexi), charges are calculated on the current dropline limit. What is CIBIL score and why is it required? CIBIL Score is your credit score which reflects how well or how poorly you have dealt with loans or credit cards in the past. It is also known an CIBIL TransUnion Score. The higher your CIBIL score, the better your chances of getting a loan or credit card application approved in future. What is the benefit of knowing my CIBIL information? -	Having a good CIBIL score increases your chances of getting a loan approved faster. -	Timely payment of loans will help you maintain healthy CIBIL score. How and when will I receive my CIBIL information report? At the time of availing a new consumer durable loan, we will share with you, your CIBIL information at a nominal fee of Rs 25 + GST, to be charged in your 1st EMI. If you wish to opt out, SMS CTR N to 9227564444 from your registered mobile number. CIBIL report will be shared via SMS Bitly and Email (with link to open the CIBIL information). This report will be shared within 10 working days from your 1st EMI clearance date. Why am I charged a fee for CIBIL information report? CIBIL Information Report helps you to with better financial planning. We will be sharing with you a detailed report at a nominal fee of Rs 25 + GST ( fee applicable for availing this service). If you wish to opt out, SMS CTR N to 9227564444 from your registered mobile number. How did you get my CIBIL information report without my consent? For booking a new loan in your name we retrieve your CIBIL information. As a value add we create and share with you, a report with the snapshot of your existing and past loan relationships along with the credit tips. How and by when can I get this amount refunded? Refund of Rs 25 + GST, is applicable only if charged. To get the refund of this amount, type ‘CTR N’ and send as an SMS to 9227564444 from your registered mobile number. The amount will be refunded to your registered bank account within 10 to 12 working days from the date it is charged along with the EMI amount. Once the refund is processed confirmation SMS will be sent on your registered mobile number. What if I don’t get the refund within mentioned turn around time? - Write to us at wecare@bajajfinserv.in mentioning your Loan account number or registered mobile number. Will I be charged Rs 25 every time I book a new Loan/multiple loans? This charge is applicable once in six months for all new consumer durable loans booked. What does score of -1(Minus One) indicates in the CIBIL Report? A score of -1(Minus One) indicates no credit history or activity in last few years. What does score of ‘0’ (zero) indicates in the CIBIL Report? A score of 0 (Zero) indicates that your credit history is available only up to a period of 6 months. What is the minimum CIBIL score to get a new loan? It is generally advisable to have a credit/CIBIL score of 750 or above to qualify for a personal loan. What is ‘Non- disclosed loans’ mentioned in the report? ‘Non- disclosed’ loans are for other banks or financial institutions other than Bajaj Finance Limited, for details please visit CIBIL website. To improve and maintain a healthy CIBIL score, ensure you pay your credit card bills and loan EMIs on time and you should not have multiple outstanding on unsecured loans or credit cards. Whom should I contact to raise a dispute for details of other financial institutions? And raise the dispute by filling in your credentials and details of dispute. Whom should I contact for dispute for details of Bajaj Finance limited? Does CIBIL Score affect my chances of getting a new loan or credit card? Yes. Your CIBIL score reported by Credit Bureau department is one of the key factors that determine your eligibility for a new credit product. No, foreclosure of your loan will have no impact on your CIBIL score. Once the loan is foreclosed the same will be reported to CIBIL as 'Closed' along with '0 outstanding'. Learn why CIBIL Score is important. Click here to watch the video. Please note that post closure of your loan, your CIBIL Report will be updated by us by the 18th of the next month. In case of any discrepancy please write to us at wecare@bajajfinserv.in. How do I get my foreclosure letter? For non-mortgage products, foreclosure letter can be downloaded from our Customer Portal (Experia) or by writing to our customer service team at wecare@bajajfinserv.in. For mortgage products, customers can get a foreclosure letter from our branch offices. How do I get my NOC? To view and download your NOC post loan closure login to Customer Portal > Select “View loan details” > NOC. When will I get my original documents back after I foreclose my loan? If you have any mortgage loan with us, you will receive your documents at your nearest Bajaj Finance Limited branch within 7 working days from the date of loan foreclosure. For any other loan, all your documents, including security PDCs, will get purged post loan closure. What are the Bajaj Finance Limited PAN, TAN, and service tax numbers? t is a destination based tax on consumption of goods and services. It is proposed to be levied at all stages on taxable goods and services, credit of taxes paid would be available as setoff to customers. In a nutshell, only value addition will be taxed and burden of tax is to be borne by the final consumer. Taxable event under GST is supply of goods or services or both. CGST and SGST/UTGST will be levied on intra-state supplies. IGST will be levied on inter-state supplies. For intra-state supply - CGST and SGST/UTGST. For inter-state supply – IGST. What is the meaning of inter-state and intra-state supply? Intra-state means supply of goods/services within one state. Inter-state means supply of goods/services between two states. How Can I get my TDS refund ? You can visit our nearest branch or raise a request through Experia Portal with TAN No, Period, Amount details & Form16A with correct Loan account number. How to cancel insurance policy? 2) You may also visit the nearest branch with your policy documents, cancellation letter and KYC ID and register your cancellation request. 3)You also have the option of calling the BFL customer care numbers from your registered mobile number, additionally you will need to submit the request letter in writing along with your KYC documents at the nearest BFL branch. 4) BFL also sends you a notification via SMS whenever you opt to take an Insurance, you may choose to opt out of the Insurance by responding back on the SMS with the Keywords mentioned therein. How to get refund against insurance cancellation? The refund for your Insurance policy is processed by the concerned Insurance company within 15 days of you registering the request with BFL or the Insurance company. The refund value or amount is based on the specific product level free look period which is different for each Insurance product that you may have opted for. If your cancellation request is recieved within the free look period you can expect to get a full refund, in case the cancellation request is recieved post the free look period you will receive a surrender, prorated or Nil value based on the specific Insurance product terms and conditions. How can I get my Certificate of Insurance? 1) You can write directly to email id wecare@bajajfinserv.in with your loan details. Please ensure that you write in from your registered email ID for the request to be processed. 2) You may visit your nearest BFL branch with your Policy details/Loan account documents. 3) You may call on BFL customer care numbers with the Loan details and register your request for the policy documents to be dispatched or emailed to you. Please ensure you lodge the request through your resisted mobile number for the request to be processed. Please note as part of the go green initiative most Insurance companies are providing the insurance policy documents via soft copy on email or through a SMS Bitly link, the same is valid as per the Insurance regulator and will be honoured for all claim requests. What is the difference between Insurance Surrender & Insurance cancellation? A policy can be cancelled only if it is within the prescribed Free-look period terms and conditions. Only a life Insurance policy and some health Insurance products may acquire a surrender value post the free look period. When you surrender your policy, you are breaking your contract. The Insurer also has covered your risk so far, as well as incurred management expenses in maintaining your policy. Thus you may receive only a portion of what you have paid as premiums – depending upon the policy term contracted and the duration elapsed so far. For General Insurance products (ex.extended warranty surrender value is applicable post post free-look period is over as the the asset is covered from date of purchase. What is the Process for BFL-RBL credit card application? You can apply for the Bajaj finserv RBL credit card on our website www.bajajfinserv.in under our credit card option. Alternatively, you could also give a missed call on - 9289222032 or SMS 'CARD' on 56070 If eligible for the Credit Card, we shall call you back in the next 48 hours. What are the features of the Co-brand Super Credit card? What is the status of the Credit card that I have applied for? When will my documents get picked up? Post your acceptance of the offer, our representative will connect with you for document pick-up within 48 hrs. Our representative will call you for an appointment before his visit. What if I did not recevie a call for document pickup? You would have recevied an SMS from our end, with details of our representative who would be trying to connect to you. Please call back on the same number to get your documents picked up. When will I get my Credit Card post approval? Post approval, you shall receive your credit card in 5-7 working days. Incase of not received, you could call us on 022- 711 90 900 (call charges applicable) or write to supercardservice@rblbank.com. I have a change in my address for delivery of the card? I want to cancel the card as I did not apply for the same? Connect with RBL Bank on 022- 711 90 900 (call charges applicable). You can also write to RBL Bank on supercardservice@rblbank.com. I have made payments to the credit card, but still I am receiving collection calls? We regret the inconvenience caused and appreciate your patience. We request you to please connect with RBL bank on 022- 711 90 900 (call charges applicable) or write to supercardservice@rblbank.com to check if the payment paid is been updated in their records. I have not received my Credit card statement? We regret the inconvenience caused and appreciate your patience. We request you to please connect with RBL bank on 022- 711 90 900 (call charges applicable) or write to supercardservice@rblbank.com to check on the status of your statement. We suggest that you have your email id updated so that you timely receive your monthly statements on your registered email id. MAD means= Minimum amount due. For more details we would request you to please connect with RBL bank on 022- 711 90 900 or write to supercardservice@rblbank.com . My card has returned back to origin. I need to change my address? What is the eligibility criteria to buy products on no cost EMIs with Bajaj Finserv EMI finance? To avail EMI finance through Bajaj Finserv you should be an existing Bajaj Finserv EMI card holder. How can I avail EMI finance through Bajaj Finserv? That’s it. You shall get an approval, and your products shall be shipped. Do I need to pay anything additional to avail EMI finance through Bajaj Finserv? This would depend on product to product and could attract processing fee for certain merchants. What documents will I have to submit on approval of the loan? There are no documents that need to be submitted. Once your finance is approved, the product would be dispatched by the dealer/merchant. Can my application get rejected? What do I do in that case? Approval/rejection of financing is solely at discretion of Bajaj Finance Limited. In the event that your loan application is not accepted, you would need to place a fresh order with a different payment type – COD or Prepaid. Where would I get to know the reason for my loan getting rejected? Approval of your loan is solely at discreation of Bajaj Finance Limited. You shall hear from us through an SMS on your registered mobile number on the reason for rejection. Where would I get to know the Reason for my card getting blocked? There are multiple factors considered as part of the credit policy such as CIBIL score, income, residence and office verification, overall credit performance of the individual across other lenders etc. You shall hear from us through an SMS on your registered mobile number. Would I have to make any down payment? Down payment would depend on the scheme that is selected. The schemes are being reviewed on a regular basis and may/are subject to change without any prior notice. When do I pay my EMI? How would I get to know about the same? What will be my EMI? Your loan gets booked in 1-2 days from the day the order is placed. Post your complete order is delivered, your loan would be booked by Bajaj Finserv. Once your loan is booked, you could view the details of your loan, such as tenure, loan amount, due date, etc. by logging in to Experia with your login credentials. Can someone else use the EMI card on my behalf? For safety and security reasons, we recommend that only the card holder uses the EMI Card for making purchases. The liability of the loan taken using the EMI Card rests solely with the holder of the EMI Card. Where do I enquire about my loan details or issues with the transaction? You can write to us at wecare@bajajfinserv.in , call us on 020 – 3957 5152 (Call charges applicable) or visit our website on www.bajajfinserv.in.Incase if there is an issue on the product, you would have to contact with the customer service team of the respective Ecommerce partner. Where can I get my Customer Portal (Experia) username and password? Your login details are printed on the back of your EMI Card. Alternatively, you can SMS “EXPERIA” to +91 92275 64444 from your registered mobile to get the username and password. How do I change my mobile number, email or address given while of opting for the EMI Card? Simply log on to the Customer Portal – Experia and make necessary changes in the profile section. Alternatively you could write to us from our registered email id on wecare@bajajfinserv.infor changes or you may speak to our Customer Service Executive on 020 – 3957 5152 (Call charges applicable). In case your problem is not resolved, please call us on 020 – 3957 5152 (Call charges applicable). Can I pre-pay or foreclose my loan? Yes, you can foreclose your loan at any point in time post the payment of your first EMI. There are no charges to foreclose. You can foreclose your loan online by logging on to Experia (Click here) through your login credentials. What is the process for cancellation of a loan or a transaction? Incase if you want to cancel a loan taken from our online partner, you need to cancel the order or transaction on the “My Orders” page. Post return of the product and or confirmation received from our online partner, we at BFL shall take 2 additional days for cancellation and reversal of the amount to your card. Incase if a EMI payment is been paid, the amount shall be transferred to your registered bank account in 3-4 days post successful cancellation at BFL end. When will I get the refund of my EMI in case I Cancel the loan? Post cancellation of the loan, the amount would reflect in your registered account number in the next 2-3 working days. Loans cancelled between 26th – 10th of the month would be processed only after the 11th of the next month. Where can I make the payment if I have missed my payment date? You can make an online payment by logging in to the Bajaj Finserv website –www.bajajfinserv.in . An option is available for making payments for your EMI as well as making payment towards the overdue charges.Alternatively, you could also visit the nearest Bajaj Finserv branch for making the payment. The details of the branches near you could be discovered through the option of “Visit our branch” under the “Reach Us” section on the website. Can I make a payment in advance for my EMI? You can make an advance EMI payment online by logging on to our website through Experia ID and password. Alternatively, you could also visit the nearest BFL branch for making the payment. The details of the branches near you could be discovered through the option of “Locate Us” under the “Reach Us” section on the website. The state and city details can be entered there to get the address of your nearest branch. Any advance EMI payment needs to be made on or before 23rd of the month. Payments received post the 23rd of the month would not impact the next EMI. The next EMI would get deducted from the customer’s registered account. What is the Turn Around Time (TAT) for any service request? A.T= the day the request is received. What if I intend to cancel few items of my order and not the complete order, is that possible? Yes, you can cancel part of your order. You just need to visit your “My Orders” page and cancel the items which you want to return or cancel. Post details received from the partner for cancellation, we shall take 2 additional days to get back to you with your new tenure details for the loan. I want to change my repayment mode (banking details)? Incase you need to make changes to your banking details, you would have to visit our nearest branch and submit a fresh banking mandate form + cancelled cheque of the new bank from where you need the dedcution to be done. The details of the branches near you could be discovered through the option of “Visit our branch” under the “Reach Us” section on the website. What is an input tax credit? The taxes you pay on input goods/services can be used as an Input Tax Credit (ITC) against output tax liabilities. For claiming input tax credit, customer needs to provide us with the correct GST registration number at the time of application or invoicing. The same needs to be shown in tax returns appropriately. What is the input tax credits are not matching the details given in the GST returns? If Input tax credit is not matching the details provided in the GST returns, the tax payer will not get the credit of the same. Hence it is required to match each and every detail of input tax credit to get the credit. When will the invoice or bill of supply be issued to the customer? For any taxable service, the invoice needs to be issued along with GST shown separately on invoice. Bill of supply will be issued in case of interest payment by customer. What are the types of fees or charges where GST would be applicable? What is the applicable GST rate for the aforementioned fees and charges? GST rate for the fees and charges mentioned above would be 18%. What are the GST registration details of Bajaj Finance Limited? GST registration details of Bajaj Finance Limited. How do I get information on my two-wheeler loan? A. For queries related to Auto Loans, you can connect our Auto Loan team on 1800 2092235, or write in to bflcustomercare@bajajauto.co.in. How do I contact Bajaj Finance Limited? A. Call us on 020 – 3957 5152 (call charges applicable) with your EMI Card related queries. For all loan queries other than Durable Finance, call 020- 3957 4151 (call charges applicable). We don't have a voice call center for EMI Finance on Durable products. You can also connect with us by downloading our mobile App. Watch this video to know the features and Benefits of our Mobile App How do I apply for a new loan? Please call us on our toll-free number 1800 1030 333 for any queries related to new Personal Loans. For any new EMI Finance on Durable Loans, please visit any of our partner dealers. For any other loan, please visit our branch office nearest to you. To view our branch addresses, visit Customer Service > Branch Locator.Click here to view our branch locator. How do I get my durable purchase original invoice copy? We would like to inform you that the original invoice copies and loan documents are maintained with us for our records. You may contact the dealer should you wish to retrieve a copy of the same. To view your loan documents, follow these steps: Customer Portal > View loan details > Select view details > Select document vault. Click here to login to the Customer Portal. How do I raise a request through the Customer Portal? To log a request through the Customer Portal, log in > Select “Write to us” > Log new request. We will get back to you within 48 hrs. How can I view my EMI status? To view your loan related details along with your EMI status, please refer to your Statement of Account by logging in to Customer Portal > View loan details > Click view details icon > Select loan statement. Click here to login to the Customer Portal. When is my next EMI due?To view your loan related details along with the due date of your next EMI, please refer to your Statement of Account by logging in to Customer Portal > View loan details > Click view details icon > Select loan statement. Click here to login to the Customer Portal. How do I change my EMI due date? We currently do not have an option to change your EMI due date. This is keeping in mind the uniformity of payment due dates for all our customers. How do I change my demographic details? You may update your mobile number, email ID or address through our Customer Portal. Log in to Customer Portal > click on the top right icon > Select “Update your contact details”. Click here to login to the Customer Portal How do I update my date of birth, PAN, and nominee name? Click to login to our Customer Portal Experia for updating your ‘Date of Birth, PAN, and Nominee name’. Follow the path for the request- Customer portal >> Contact us >> Raise a request How can I get my Statement of Account/repayment schedule?You can view and also download your Statement of Account/repayment schedule on our Customer Portal. Log in to Customer Portal > View loan details > Click view details icon > Select loan statement > Click Statement of Account > Open and save the PDF document > Click on export icon. Simple steps to help you download your e-statements. Click here to watch the video. How do I get my interest certificate? You can view and also download your interest certificate from our Customer Portal. Log in to the Customer Portal > View loan details > Click on view details icon > Loan details > Interest certificate. Simple steps to help you download your e-statements. Click here to watch the video. Where can I view my loan documents? scanned copies of your loan documents are available on the Customer Portal, for all loans disbursed post August 2012. To view your loan documents, follow these steps: Customer Portal > View loan details > Select view details > Select document vault. Click here to login to the Customer Portal. How can I apply for an EMI Card? You can apply for an EMI card while visiting our nearest authorized partner store for availing a consumer durable/digital loan. If you are an existing customer with us, you can apply for the card online through the Experia portal, under the offer tab. The EMI card comes to you by making a onetime payment of a nominal fee of Rs. 417. However, if the card remains unutilized for a year from the date of card issuance, there is a yearly fee of Rs. 117 for the non-usage. When will I receive my EMI Card? You will receive your EMI Card after successful clearance of your first 4 EMIs. What is my EMI Card limit? You can view your EMI Card limit on the Customer Portal. Log in to the Customer Portal > Select cards > EMI Card > See details. How can I increase my EMI card Limit ? Why my EMI card Limit is reduce ?EMI Card loan limit is subject to change inline with our policy. 3. Login with your email address/ mobile number on Flipkart. When can I apply for an EMI Card?You can apply for an EMI card at the time of availing consumer durable loan. Card will be generated post 20 days of loan booked. How to unblock my EMI Card ?Your EMI card has been blocked inline with our credit policy. You shall receive an SMS from us upon activation of the card. Why my card is block ?Your EMI card has been blocked inline with our credit policy. There are multiple factors considered as part of the credit policy such as Low CIBIL score, Income, Residence and Office verification, overall credit performance of the individual across other lenders etc. How to ensure card remains active ?Pay your Emi’s timely and maintain your CIBIL score( 750 and above). How will I get to know that the card is active?Card activation/unblock information will be provided to you via SMS. You can also view the status of your card by login to our customer portal (Experia) and Bajaj Finserv Mobikwik App. What is Digital EMI Card?EMI Card refers to Existing Member Identification Card; the customers simply have to carry his mobile phone (with registered mobile number) to avail loan using EMI Card across merchant network accepting the EMI Card. - Your transaction is completed How do I get to know if my transaction is rejected or approved? You would receive an SMS communication informing you if the transaction is approved or rejected. In case of transaction rejected and you need further assistance, you could reach us on our call center number – 020-39575152 or write to us on wecare@bajajfinserv.in. Where can this EMI Card be used? You can use this card across any BFL partner outlets across categories like mobile phones, computing devices, retail fashion (clothes, accessories, travel, groceries, small appliances and much more), electronics and appliances, power backup, holiday packages, eye-ware, education (coaching classes), watches, etc. https://www.bajajfinserv.in/store-locator What is the basis to decide the amount on the card? The loan amount on the card is decided by Bajaj Finance based on its credit policies. Is EMI Card a credit card? The EMI Card is not a credit card. By using this card our customers can purchase any durable, digital, lifestyle or retail products with minimal documentation. Can I apply for an add on card? Yes, you can apply for an add-on card EMI Card. Please check for details at our authorized Consumer durable stores. How do I repay the loan availed on my EMI card? You can repay the loan anytime, by paying your balance outstanding through Equated Monthly Installments. In case you need more details, please feel free to write to wecare@bajajfinserv.in quoting your loan account number. How do I update/change my ECS mandate/repayment mode with Bajaj Finserv? To change your bank details kindly visit our nearest branch and must carry a canceled cheque of your new bank/account. Do you want to locate a branch near you? Click https://www.bajajfinserv.in/reach-us#visit-our-branch Do I need to pay a charge to the retailer for any transaction I make on the EMI Card? You may or may not need to pay any additional transaction charges, depending on the schemes running at the Dealership at that point of time. How do I enquire more about the EMI Card? You can write to us at wecare@bajajfinserv.in, call us 020 – 3957 5152 (Call charges applicable) or visit our website on www.bajajfinserv.in. What should I do if my EMI Card gives an error while swiping? Our representatives at the partner outlet will be there to assist you. In case your problem is not resolved, please call us at 020 – 3957 5152 (Call charges applicable) or write to us on wecare@bajajfinserv.in Can I get a replacement of the EMI card if my existing EMI card is lost, stolen or damaged? You do not need the physical card. Your Digital EMI card gives the power to use the card. How do I get my EMI card statement? You will get monthly statement on your registered email ID. You can also view your transaction details in EMI Card section. You can also write on wecare@bajajfinserv.in or call us on 020 39575152 to get the details. My Bajaj Finserv Wallet app does not work? What do I do? Incase case you have problems with your Bajaj Finserv Wallet App, you need to contact Mobikwik at bajajsupport@mobikwik.com. What is the current status of my EMI Card? You can view your EMI Card limit on the Customer Portal. Log in to the Customer Portal > Select cards > EMI Card > See details. For any further queries, you may also call us on the dedicated EMI Card help line number: 020-39575152 (call charges applicable). Click here to login to the Customer Portal. What is my EMI Card PIN? To receive your EMI Card PIN on your mobile, SMS PIN to 9227564444 from your registered mobile number. You can change your EMI card pin by logging on to the Experia portal. How do I get my security PDC returned? For all loans disbursed post September 2012, we destroy the security instruments collected after loan clearance. The same has been communicated in the loan application form as well. Click here to login to the Customer Portal. How can I make my overdue payment? You can pay your overdue EMIs online through the Customer Portal. This facility is offered to customers who have net banking activated for their bank account. Log in to Customer Portal > Click on “Payments” > Make a payment > Missed EMI payment. Watch this video to know how to make online payments easily using our Customer Portal Can I make my advance EMI payment online?You can make online advance EMI payment by logging onto our Customer Portal and mobile app. Please note this facility is not available for Business Loans, Personal Loans, and Home Loans. You may also visit any of our branches to make this payment. To view a list of branch addresses, visit Customer Service > Branch locator. Watch this video to know how to make online payments easily using our Customer Portal Can you arrange for a cheque pick-up from my residence (consumer durable customers only)? We currently do not have the option to send our executives for collection of payment. How and when can I part-prepay my loan? Are there any part-prepayment charges? A. Part-prepayment can be done through our customer portal (Experia) or by visiting our branch. What are the features and benefits of Flexi Term Loan? Below are the features and benefits of Flexi Term Loan. What are the features and benefits of Flexi Hybrid Loan? Below are the features and benefits of Flexi Hybrid Loan. Features of Flexi Hybrid Loan: How do I make a part-prepayment on a Flexi Loan?Click here and learn the simple steps to make part-prepayment on your term and Flexi loans through our Customer portal – Experia. Watch how to Drawdown/Withdraw from your Flexi Loan. Click here. How do I drawdown/withdraw from a Flexi Loan?Click here and learn the simple steps to drawdown/withdraw from your Flexi loan through our Customer portal – Experia. Watch how to Drawdown/Withdraw from your Flexi Loan. Click here. How do I apply for my TDS refund?You can now apply for your TDS refund through our Customer Portal. All you need to do is fill in your request details, upload your original Form 16A, and your TDS request will be generated. Pune 411026 How and when can I foreclose my loan? Are there any foreclosure charges? A. Foreclosure can be done through our customer portal – Experia, or by visiting our branch. Foreclosure can be made post clearance of 1st EMI. Charges will be applicable on the current POS outstanding. What is CIBIL score and why is it required?CIBIL Score is your credit score which reflects how well or how poorly you have dealt with loans or credit cards in the past. It is also known an CIBIL TransUnion Score. How and when will I receive my CIBIL information report?At the time of availing a new consumer durable loan, we will share with you, your CIBIL information at a nominal fee of Rs 25 + GST, to be charged in your 1st EMI. If you wish to opt out, SMS CTR N to 9227564444 from your registered mobile number. How did you get my CIBIL information report without my consent?For booking a new loan in your name we retrieve your CIBIL information. As a value add we create and share with you, a report with the snapshot of your existing and past loan relationships along with the credit tips. How and by when can I get this amount refunded?Refund of Rs 25 + GST, is applicable only if charged. Will I be charged Rs 25 every time I book a new Loan/multiple loans?This charge is applicable once in six months for all new consumer durable loans booked. What does score of -1(Minus One) indicates in the CIBIL Report?A score of -1(Minus One) indicates no credit history or activity in last few years. What does score of ‘0’ (zero) indicates in the CIBIL Report?A score of 0 (Zero) indicates that your credit history is available only up to a period of 6 months. What is the minimum CIBIL score to get a new loan?It is generally advisable to have a credit/CIBIL score of 750 or above to qualify for a personal loan. What is ‘Non- disclosed loans’ mentioned in the report?‘Non- disclosed’ loans are for other banks or financial institutions other than Bajaj Finance Limited, for details please visit CIBIL website. How can I improve my CIBIL score?To improve and maintain a healthy CIBIL score, ensure you pay your credit card bills and loan EMIs on time and you should not have multiple outstanding on unsecured loans or credit cards. Does CIBIL Score affect my chances of getting a new loan or credit card?Yes. Your CIBIL score reported by Credit Bureau department is one of the key factors that determine your eligibility for a new credit product. Is there any CIBIL impact if I foreclose my loan No, foreclosure of your loan will have no impact on your CIBIL score. Once the loan is foreclosed the same will be reported to CIBIL as 'Closed' along with '0 outstanding'. Learn why CIBIL Score is important. Click here to watch the video. Please update my CIBIL reportPlease note that post closure of your loan, your CIBIL Report will be updated by us by the 18th of the next month. In case of any discrepancy please write to us at wecare@bajajfinserv.in. Learn why CIBIL Score is important. Click here to watch the video. How do I get my foreclosure letter?For non-mortgage products, foreclosure letter can be downloaded from our Customer Portal (Experia) or by writing to our customer service team at wecare@bajajfinserv.in. For mortgage products, customers can get a foreclosure letter from our branch offices. How do I get my NOC?To view and download your NOC post loan closure login to Customer Portal > Select “View loan details” > NOC. TAN: PNEB00001B What is Goods and Services Tax (GST)t is a destination based tax on consumption of goods and services. It is proposed to be levied at all stages on taxable goods and services, credit of taxes paid would be available as setoff to customers. In a nutshell, only value addition will be taxed and burden of tax is to be borne by the final consumer. What is taxable event under GST?Taxable event under GST is supply of goods or services or both. CGST and SGST/UTGST will be levied on intra-state supplies. IGST will be levied on inter-state supplies. What type of GST is proposed to be implemented?For intra-state supply - CGST and SGST/UTGST. For inter-state supply – IGST. What is the meaning of inter-state and intra-state supply?Intra-state means supply of goods/services within one state. Please note as part of the go green initiative most Insurance companies are providing the insurance policy documents via soft copy on email or through a SMS Bitly link, the same is valid as per the Insurance regulator and will be honoured for all claim requests. What is the difference between Insurance Surrender & Insurance cancellation?A policy can be cancelled only if it is within the prescribed Free-look period terms and conditions. Only a life Insurance policy and some health Insurance products may acquire a surrender value post the free look period. When you surrender your policy, you are breaking your contract. The Insurer also has covered your risk so far, as well as incurred management expenses in maintaining your policy. Thus you may receive only a portion of what you have paid as premiums – depending upon the policy term contracted and the duration elapsed so far. For General Insurance products (ex.extended warranty surrender value is applicable post post free-look period is over as the the asset is covered from date of purchase. What is the Process for BFL-RBL credit card application?You can apply for the Bajaj finserv RBL credit card on our website www.bajajfinserv.in under our credit card option. Do I need to pay anything additional to avail EMI finance through Bajaj Finserv?This would depend on product to product and could attract processing fee for certain merchants. What documents will I have to submit on approval of the loan?There are no documents that need to be submitted. Once your finance is approved, the product would be dispatched by the dealer/merchant. Can my application get rejected? What do I do in that case?Approval/rejection of financing is solely at discretion of Bajaj Finance Limited. In the event that your loan application is not accepted, you would need to place a fresh order with a different payment type – COD or Prepaid. Where would I get to know the reason for my loan getting rejected?Approval of your loan is solely at discreation of Bajaj Finance Limited. You shall hear from us through an SMS on your registered mobile number on the reason for rejection. Where would I get to know the Reason for my card getting blocked?Your EMI card has been blocked inline with our credit policy. Would I have to make any down payment?Down payment would depend on the scheme that is selected. The schemes are being reviewed on a regular basis and may/are subject to change without any prior notice. When do I pay my EMI? How would I get to know about the same? What will be my EMI?Your loan gets booked in 1-2 days from the day the order is placed. Post your complete order is delivered, your loan would be booked by Bajaj Finserv. Once your loan is booked, you could view the details of your loan, such as tenure, loan amount, due date, etc. by logging in to Experia with your login credentials. Can someone else use the EMI card on my behalf?For safety and security reasons, we recommend that only the card holder uses the EMI Card for making purchases. The liability of the loan taken using the EMI Card rests solely with the holder of the EMI Card. Where do I enquire about my loan details or issues with the transaction?You can write to us at wecare@bajajfinserv.in , call us on 020 – 3957 5152 (Call charges applicable) or visit our website on www.bajajfinserv.in.Incase if there is an issue on the product, you would have to contact with the customer service team of the respective Ecommerce partner. Where can I get my Customer Portal (Experia) username and password?Your login details are printed on the back of your EMI Card. Alternatively, you can SMS “EXPERIA” to +91 92275 64444 from your registered mobile to get the username and password. How do I change my mobile number, email or address given while of opting for the EMI Card?Simply log on to the Customer Portal – Experia and make necessary changes in the profile section. Alternatively you could write to us from our registered email id on wecare@bajajfinserv.infor changes or you may speak to our Customer Service Executive on 020 – 3957 5152 (Call charges applicable). What should I do if my EMI Card gives an error while swiping?In case your problem is not resolved, please call us on 020 – 3957 5152 (Call charges applicable). Can I pre-pay or foreclose my loan?Yes, you can foreclose your loan at any point in time post the payment of your first EMI. There are no charges to foreclose. You can foreclose your loan online by logging on to Experia (Click here) through your login credentials. What is the process for cancellation of a loan or a transaction?Incase if you want to cancel a loan taken from our online partner, you need to cancel the order or transaction on the “My Orders” page. Post return of the product and or confirmation received from our online partner, we at BFL shall take 2 additional days for cancellation and reversal of the amount to your card. Incase if a EMI payment is been paid, the amount shall be transferred to your registered bank account in 3-4 days post successful cancellation at BFL end. When will I get the refund of my EMI in case I Cancel the loan?Post cancellation of the loan, the amount would reflect in your registered account number in the next 2-3 working days. Loans cancelled between 26th – 10th of the month would be processed only after the 11th of the next month. Where can I make the payment if I have missed my payment date?You can make an online payment by logging in to the Bajaj Finserv website –www.bajajfinserv.in . An option is available for making payments for your EMI as well as making payment towards the overdue charges.Alternatively, you could also visit the nearest Bajaj Finserv branch for making the payment. The details of the branches near you could be discovered through the option of “Visit our branch” under the “Reach Us” section on the website. Watch this video to know how to make online payments easily using our Customer Portal Can I make a payment in advance for my EMI?You can make an advance EMI payment online by logging on to our website through Experia ID and password. Alternatively, you could also visit the nearest BFL branch for making the payment. The details of the branches near you could be discovered through the option of “Locate Us” under the “Reach Us” section on the website. The state and city details can be entered there to get the address of your nearest branch. Any advance EMI payment needs to be made on or before 23rd of the month. Payments received post the 23rd of the month would not impact the next EMI. The next EMI would get deducted from the customer’s registered account. Seizure charges What is the applicable GST rate for the aforementioned fees and charges?GST rate for the fees and charges mentioned above would be 18%. What are the GST registration details of Bajaj Finance Limited?GST registration details of Bajaj Finance Limited. How do I get information on my two-wheeler loan?A. For queries related to Auto Loans, you can connect our Auto Loan team on 1800 2092235, or write in to bflcustomercare@bajajauto.co.in.